How do you decide for whom to vote? How do you think about religious groups with political agendas? Do faith and politics mix? 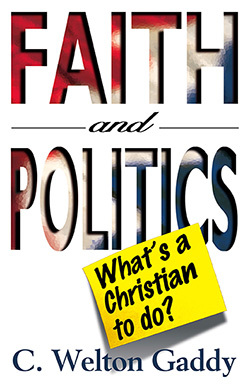 In this useful resource for Christians, Gaddy draws upon his extensive positive involvement and influence on the Christian political arena to help readers sort through the multiple questions that arise in the midst of modern elections. C. Welton Gaddy is author of more than 20 books and leads the national non-partisan grassroots and educational organization Interfaith Alliance and serves as Pastor for Preaching and Worship at Northminster (Baptist) Church in Monroe, Louisiana. In addition to being a prolific writer, Dr. Gaddy hosts the weekly State of Belief radio program, where he explores the role of religion in the life of the nation by illustrating the vast diversity of beliefs in America, while exposing and critiquing both the political manipulation of religion for partisan purposes and the religious manipulation of government for sectarian purposes. Dr. Gaddy provides regular commentary to the national media on issues relating to religion and politics. He has appeared on MSNBC’s The Rachel Maddow Show and Hardball, NBC’s Nightly News and Dateline, PBS’s Religion and Ethics Newsweekly and The Newshour with Jim Lehrer, C-SPAN’s Washington Journal, ABC’s World News, and CNN’s American Morning. Former host of Morally Speaking on NBC affiliate KTVE in Monroe, Louisiana, Dr. Gaddy is a regular contributor to mainstream and religious news outlets. While ministering to churches with a message of inclusion, Dr. Gaddy emerged as a leader among progressive and moderate Baptists. Among his many leadership roles, he is a past president of the Alliance of Baptists and has been a 20-year member of the Commission of Christian Ethics of the Baptist World Alliance. 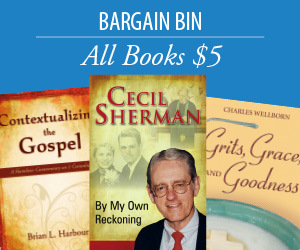 His past leadership roles include serving as a member of the General Council of the Cooperative Baptist Fellowship, President of Americans United for Separation of Church and State, Chair of the Pastoral Leadership Commission of the Baptist World Alliance and member of the World Economic Forum’s Council of 100. Rev. Gaddy currently serves on the White House task-force on the reform of the Office of Faith Based and Neighborhood Partnerships. Prior to the fundamentalist takeover of the Southern Baptist Convention (SBC), Dr. Gaddy served in many SBC leadership roles including as a member of the convention’s Executive Committee from 1980-84 and Director of Christian Citizenship Development of the Christian Life Commission from 1973-77. Dr. Gaddy received his undergraduate degree from Union University in Jackson, Tennessee and his doctoral degree and divinity training from the Southern Baptist Theological Seminary in Louisville, Kentucky.